PALEFACE is an indie-folk pop/Americana artist emerging from Concord, North Carolina via Brooklyn, New York. A veteran of the indie rock scene of the early 90’s and originally performing as a solo artist, PALEFACE now exists as a high-energy three-piece band blends both rock n’ roll and Americana genres, offering music fans from all over with a vast array of inspirational tunes. MAGNET Magazine presents their debut video of the title track from their new album One Big Party. PALEFACE was schooled musically by friend Daniel Johnston and were in no time discovered by the legendary Danny Fields, associated with The Stooges, The Ramones, and MC5, at an open mic night in New York City. PALEFACE features Monica “Mo” Samalot on drums and vocals, and electric guitarist Soren Mattson. 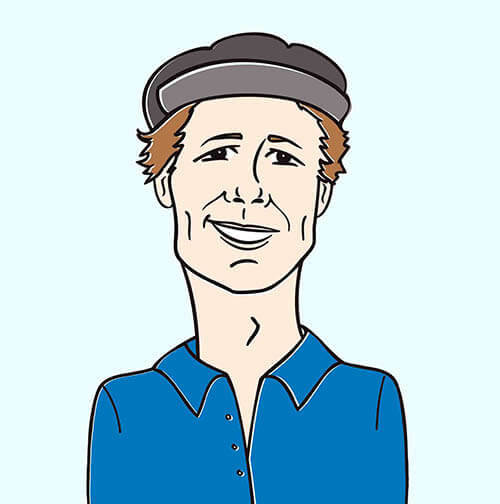 PALEFACE has influenced and inspired musical acts such as YACHT and Grammy Award recipients Kimya Dawson and Beck who calls PALEFACE “a big influence on my early work” in Annie Leibovitz’s book called American Music. PALEFACE has self-released Multibean Bootleg Volume 3, a collection of raw demos, live performances, and outtakes, and is currently promoting their new album One Big Party. Directed by Memo Salazar with animations by Derek Breuer, “One Big Party” presents the introduction of PALEFACE into the contemporary music scene. With vintage and western themes, the pictures and scenes throughout the clip tell an array of stories. “Mo” Samalot directs her attention to the eyes of the camera lens as she captures viewers with her electrifying vocals. 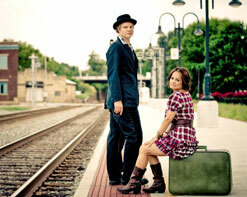 MAGNET Magazine presents these alluring scenes of delicacy that make up the music of PALEFACE. “One Big Party” is a track that excites music fans and delivers all of the eccentric characteristics that make up this modern lo-fi indie folk/Americana band. This eclectic group of musicians captivates their audience throughout the moving pictures and thematic scenes of “One Big Party.” The title track from their newest album offers an eye-catching introduction to the simplistic, yet charming appeal of this band on the rise. Be sure to catch a performance by PALEFACE as they sweep through their current US and European tour. For more information, please contact Andy Gesner and the HIP Video Promo staff at (732)-613-1779 or email us at info@HIPVideoPromo.com /a>. You can also visit www.PALEFACEonline.com .